LEGO Dimensions Wave 6 launches on September 27th, and retailer ads are starting to leak out. 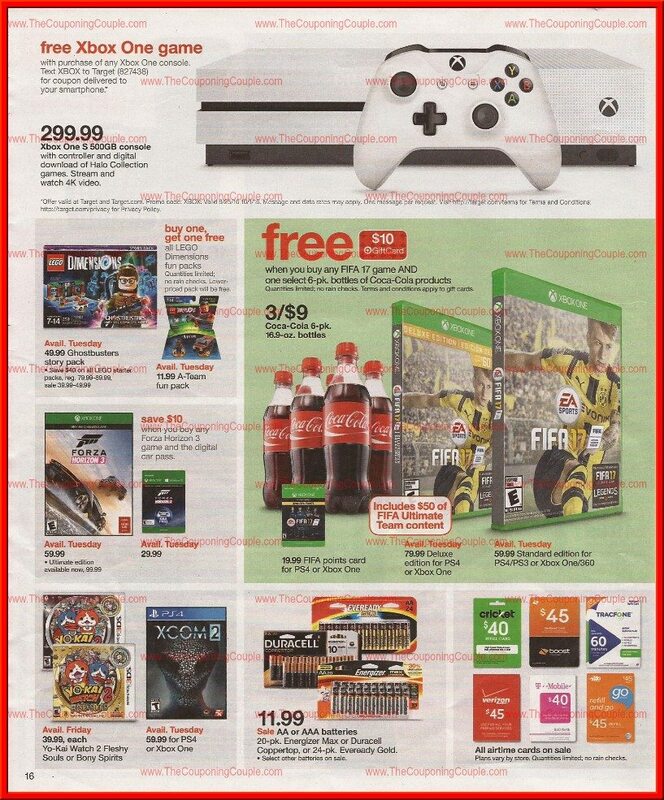 First up, here is the ad for Target the week of September 25th. 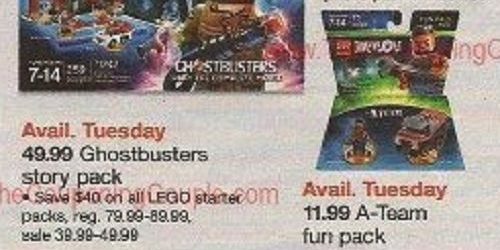 Target will be offering a Buy 1 Get 1 Free on all LEGO Dimensions Fun Packs. Normally a great deal (and still is! ), but a bummer since there is only one Fun Pack (A-Team Fun Pack) being released that week. Don’t forget you can enter to win the Fun Pack and other packs during my current giveaway! But if you are planning on getting more Fun Packs, may be a good time to pick them up.